We are proud to announce the safe arrival of our beautiful babies!! Mum is our girl Dottie and Grandsire is Mr Chubb?? These pups are short and compact and have plenty of rope and bone!! 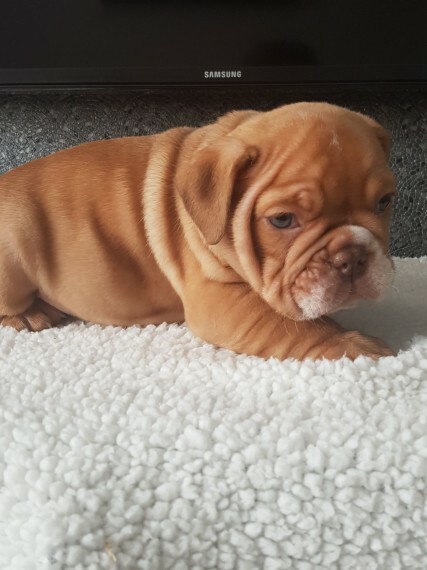 Blue tan female Lilac fawn girl Blue fawn female Lilac tan male Lilac fawn male Choc fawn male If you would like any more information, please call!! NO EMAILS, WITHELD CALLS or TEXTS WILL BE ANSWERED! !